There is no shortage of social media platforms out there. But which one is the right for you and your brand? There is not one social media platform to rule them all. While there are plenty of strategists who can give you a road-map for growing your online following on, say, Instagram, if your target audience isn’t on that particular platform, you’re not going to see the results. This is a lesson I’ve learned firsthand. If you’re in the online marketing world, you’ve probably been hearing all about the importance of video content and the growing influence of YouTube. The data doesn’t lie either; YouTube is the second biggest search engine in the world, directly behind Google—which, not so coincidentally, owns YouTube. There is no question that YouTube is a major player in the online marketing space. But here’s the thing, My target audience isn’t on YouTube. I have surveyed my audience several times and all of them responded that they don’t watch YouTube videos and that they prefer to read newsletters or listen to audio, rather than watching videos. But instead of listening to my audience, I listened to everyone else in the online marketing space, and launched a YouTube channel. It wasn’t a total bust; the videos led to some increase in website traffic and a number of affiliate sales, but not enough to justify the time and energy it took to script, film, edit, and publish those videos. In the end, all that time could have been spent meeting my audience on a platform where they spend more of their time. In the beginning of my YouTube journey, I thought, maybe I’m doing something wrong. Maybe it’s my content, my keywords, or the time of day I’m uploading the videos. But it wasn’t. It was simply that my audience isn’t searching for answers to their questions on YouTube. Because in conjunction with my YouTube channel, I also launched one for our client, Dr. Alexandra Solomon. I took the same approach when it came to content, keyword research, and publishing. And her channel saw exponentially more conversions and website traffic. Can you guess why her experience was so different than mine? It’s because her audience IS on YouTube. Her content is targeted at Millennials seeking dating and relationship advice, and where is that group getting their advice? They’re going to YouTube. 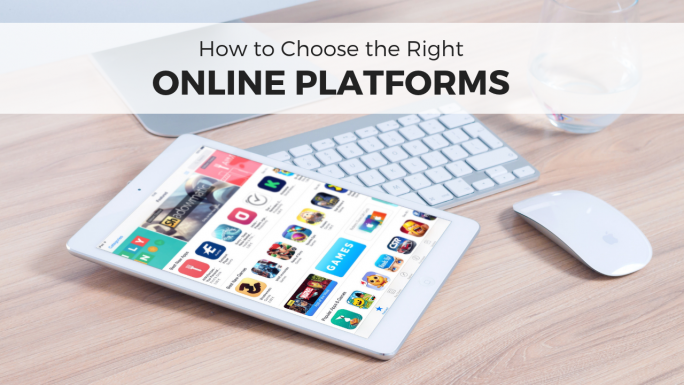 If you are not seeing conversions and traffic from your social media efforts, it may be because it’s not the right platform for your audience. Where is your website traffic coming from now? Aside from direct traffic and Google searches, most people will come to your website from your various social media channels. You can utilize Google Analytics to easily identify the source. My recommendation is to start with what’s working. If t75 percent of all search traffic is coming from Instagram or Facebook, then determine if there are ways to further utilize that platform. You may be tempted to focus on what’s not working first and to figure out ways to increase your overall traffic, but that’s usually wasted time. 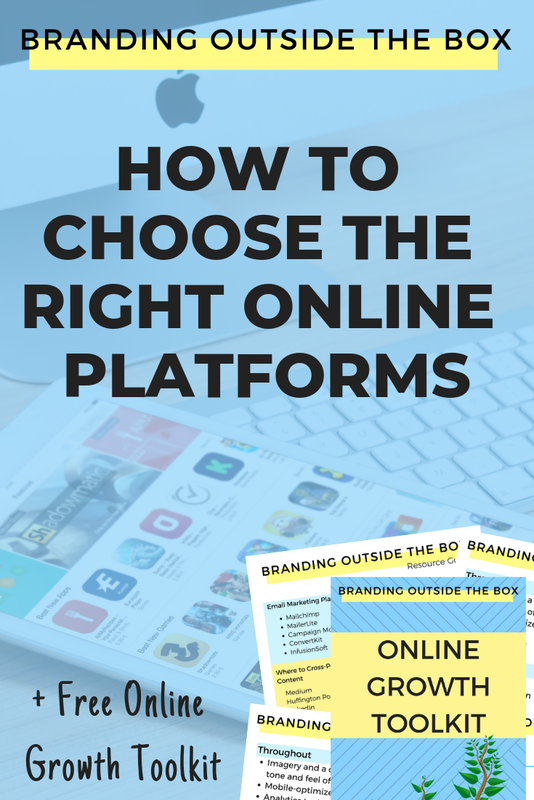 Chances are, right now, you’re not concentrating on any one platform and utilizing it to its maximum potential. Focusing on the one, maybe two, platforms that account for the majority of your social traffic means you’re directing your energy to areas that have already yielded results. It’s much easier to expand on something that’s already working than it is to fix something that isn’t. Do you have a clear sense of your customer avatar? Picture your ideal client. How old are they? Are they a particular gender? Where to they live? What do they do? What are their pain points? What are they struggling with? Once you start brainstorming these questions, an image of your customer avatar will appear in your mind. You’ll have a clear sight of them, as well as an understanding of who they are and where they get their information. Is this person you? Or is it someone you know? If you answered yes to either of these questions, here’s another one: Which sites and networks are you or this person you know drawn to? If you’re your ideal client, then that makes it easy. Think about the social media platforms you’re most drawn to. Think about the last online purchase you made or consultant you hired–where did you hear about them? What made you finally open your wallet and do business with them? Was it an email? An Instagram story? A YouTube video? If you’re thinking of someone you know, ask them out to coffee and host an informal focus group. Ask them all these questions and get a sense of where they look for answers and how they make their buying decisions. The more information you have, the easier it will be to decide which online arenas will be the most beneficial for your business. I survey my audience once a quarter, not just to get feedback on the content I currently produce, but the content I’m thinking about producing. When I had the idea to create a membership site, I originally thought it would be for entrepreneurs wanting to establish personal brands. But after surveying my audience, I learned that the people who were most excited about a membership site were authors, and they wanted something tailored for their particular needs. So guess what I did? I revised my membership site so it was designed specifically to help authors launch their books. I sent a follow up survey to see how they’d prefer to learn–Live or recorded sessions? Video lessons or written ones?–and then formed a beta group to test out the platform before its launch. When the beta testing is complete, I will be more confident in the success of the program because I will have listened to my audience and incorporated their feedback. So rather than spending a lot of time experimenting with various online platforms, ask your audience where they spend the most time. You may think everyone is leaving Facebook or that your younger audience is only on Snapchat, but once you poll your audience, you may be surprised at the results. You do not have to be on every online platform to have a successful and thriving business. Instead of imitating what your peers and your competition are doing, focus on where your ideal clients and customers are hanging out. Meet them where they are. Create products and services specifically for them. If you do, you’ll spend less time spinning your wheels on social media and have more time to actually serve your target audience.